"From the dedicated nurses and aides to social work, dietary, recreation and food services staff, the staff in the beauty salon and the receptionists and security personnel, we as family members saw our mother being treated with dignity and respect and we received the same treatment." J.M. "The kindness of your staff carried us through this difficult time…Special thanks go to [specific staff members] and so many more whose names escape me now, but whose acts of love we will never forget." S.Z. and Family. "Everyone we encountered was both professional and empathetic and within hours of [my mother's] admission to Roosevelt Care Center; we felt like we were at home with family. We saw my mother every day and with each visit, we felt reassured that she was receiving excellent care." L.C. "I am writing to you to thank you and commend your staff for the tremendous help they gave me with transporting the residents of Cape May Court House Convalescent Center (the evacuees of Hurricane Irene that you accepted) last Monday, August 29, 2011…You have an amazing staff and a well-organized facility. You should be proud." A.C.
"I am writing on behalf of my siblings and myself to let you know how happy we are that our Mom spent the last years of her life at Roosevelt. Her needs were well attended; her room, always clean, comfortable and cheerful. Please extend our gratitude to those who directly cared for her…They were sensitive to her needs and treated her with dignity and respect. They kept us well informed of her condition throughout her stay. They were accommodating and understanding of our presence around and near her as the end approached." D.R. "I cannot express how thankful I am for the wonderful way the rehab staff took care of me. I thought I would never make it. The way they worked with me made me want to do everything they said just right. Even when they had to work with someone else, their eyes were never off their other people. I cannot say thank you so many times, it wouldn't be enough." C.R. "From the day Mom arrived I could tell that the staff was interested in what she needed as an individual; not just another patient on the floor that was to be dealt with, according to a set routine. Even the recreation department went out of their way to make her comfortable and feel special." M.R. "This is my second year here. I recommend RCC to my friends. The rehab therapists are good people with a wonderful attitude. I will miss them." E.B. "The people here look out for you. There's a family atmosphere here. We know the nurses. We know the CNAs. There are so many good people here. We are blessed with good CNAs." Mr. and Mrs. B. "Our mother came in not able to walk and now she is getting back to her old self." "I am writing to express my heartfelt appreciation and gratitude to your staff at Roosevelt Care Center…My father…passed away…at Roosevelt Care Center. He was a resident for so many years. I will forever be grateful to the staff, nurses and social workers for the love and care they showed my father day in and day out. I wish every organization had a wonderful and dedicated staff as you do…I will always remember the kindness and love shown to me and my father." J.B.
"My mother…left your rehab…I wanted to take the time to share with you my thoughts about the kind of care she received. What I want to do with this letter is to point out to you some members of your staff, who I feel deserve special mention for their kindness, professionalism, dedication, caring and peace of mind (that) they gave me, (while) leaving my mother in their hands…I knew mom was getting the best care available." J.S. "I have stayed in the Center for three weeks and now I am going home. During my stay here, I was helped by many people who are working here under your excellent management. I would like to thank Jenny, the physicians and Ms. Hsu. They came to visit me many times and cared for my living here. Especially Ms. Hsu, (who) has come to help me to overcome my language difficulty, interpreting between Chinese and English." S.C.
"My father-in-law…was in your facility for rehabilitation…The service he received was spectacular." H.R. "Dr. Damiani, we truly appreciate the kindness you've extended to my mom and your visits to her while she was at Roosevelt. 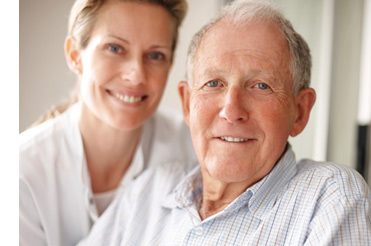 You, along with the staff at Roosevelt, made her feel very comfortable and peaceful while she was there." Mr. and Mrs. D.
"To all the nurses and aids at RCC: thank you for taking good care of my mother, Marie." A.B. "To the staff: just a note to thank all of you for taking such good care of my husband Frank. I know he was always well taken care of. We both miss all of you." G.F. & F.F. "Thank you (staff), for all of your help during my father's stay, up front and behind the scenes. Your hard work shows and shines!" A.S.